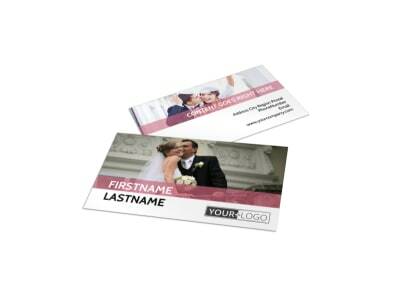 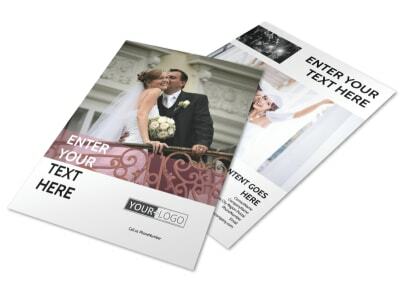 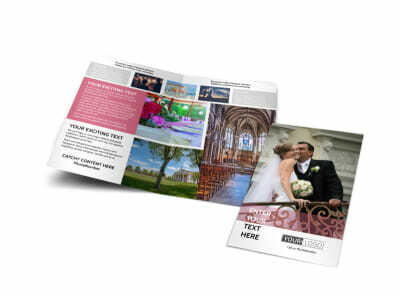 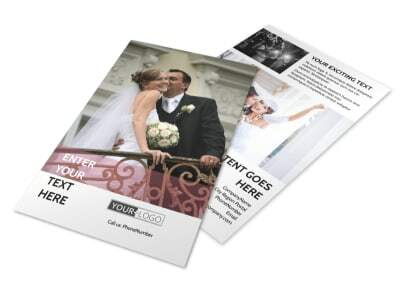 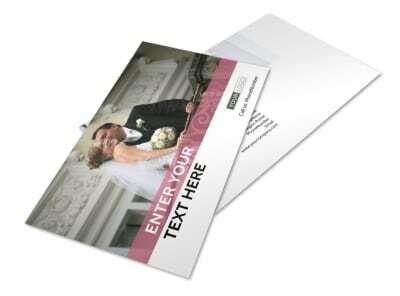 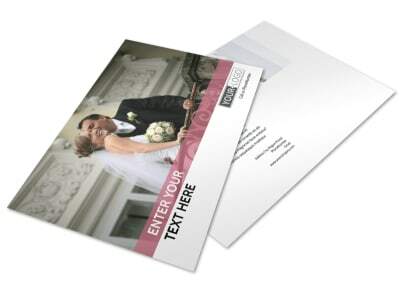 Customize our Wedding Venue Brochure Template and more! 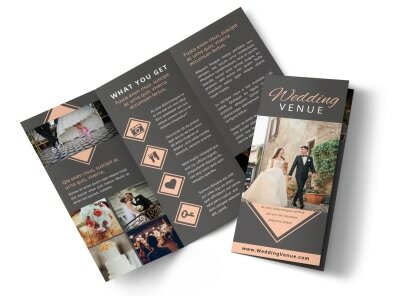 Help brides- and grooms-to-be settle on a venue for their big day with your wedding venue brochure detailing the venue you have available. 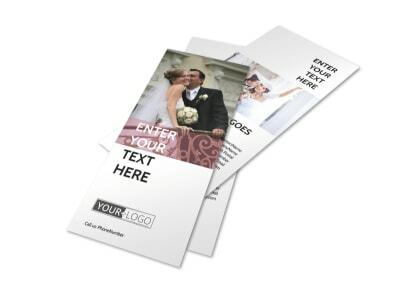 Use our online editor to add high def pictures or the inside and outside of the venue, along with images of past wedding parties. 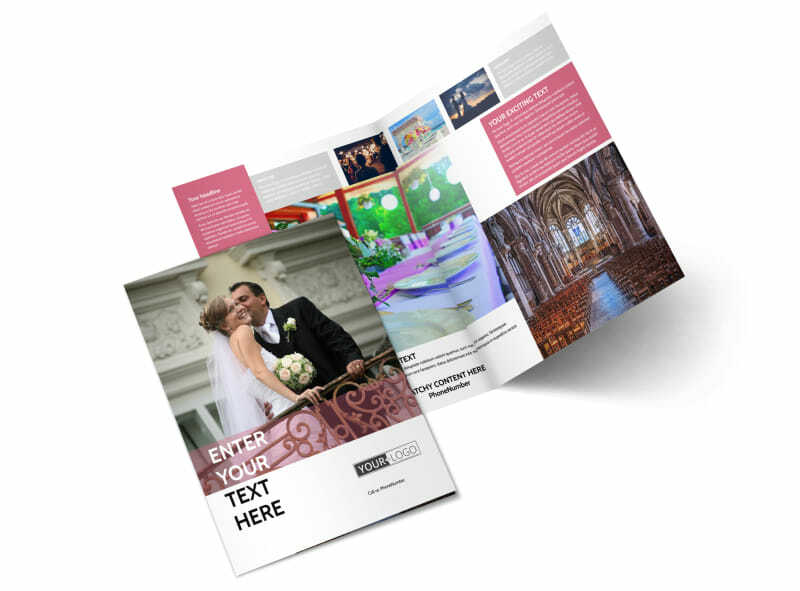 Change the color theme, text, and other elements, and print from your own printer or leave that to us while you go back to booking couples.